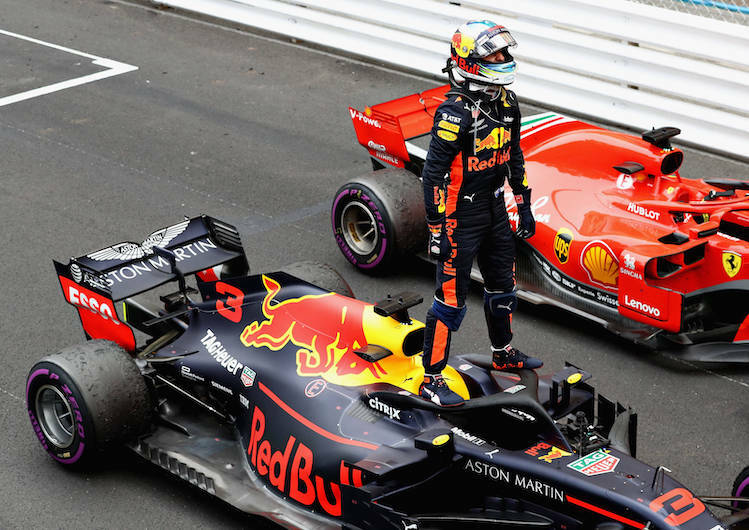 Tickets are now on sale for the 2019 Monaco Grand Prix. General Admission tickets start from just £29 for Rocher on Thursday and £96 on Sunday. General Admission Rocher is a hillside viewing area and may not suit all spectators. This is a popular area due to it’s low price so we recommend arriving early to get the best viewing experience as the area can become very crowded for the Sunday race. Tickets for Monaco are sold on an individual day basis so to purchase a weekend ticket you will need to select tickets for each day. Unlike other races Friday is a non race/practice day. Thursday is a roving seat within the grandstands. Tribune L Low is located in rows A-D, O Low are rows A-J and T Low in rows A-M, views from lower rows are more likely to include safety fencing. The remaining rows in these stands are classified as High. Please be aware that Tribunes L High and T High have views into certain areas of the pits. Monaco has a free pit walk on the Friday which is a non race day. This is normally free for ticket holders with Saturday and/or Sunday grandstand tickets, but we are awaiting confirmation. In 2019 tickets for the famous street circuit are available from £96 for Sunday General Admission ticket (Look out for Le Rocher). Not bad when you consider the prices for race day at Silverstone start at £145! The Monaco Historic Grand Prix is an event that occurs every 2 years. The first event was in 1997. The historic GP is run in the Principality on the same circuit at the Formula 1 Grand Prix. The classic cars are split into various categories and run over 7 races. I would recommend speaking to the F1 Ticket resellers about best options. I’m sorry I’m not up to speed on Wheelchair excess. how do I get tickets for Monaco race 2016. I want to surprise my husband as it’s going to be his 50th birthday, and he just loves the F1 ? Tickets for the 2016 Monaco race are not on sale yet. As soon as they become available will update our site with prices and ticket options. Hi. I am keen to buy Monaco 2016 tickets. Although they haven’t been released yet, Goo Tickets are already selling them. Would you suggest it’s ok to go ahead and book these tickets now? Found out no TV at Grandstand C, is it possible to get coverage of the race on your ipad at Grandstand C, or if not any suggestions of how to see the race. Sorry I’m stumped on this one! can anybody offer some advice for TV viewing in Monaco during the race? Presumably at the very worst you’ll be able to listen to the race on BBC Radio Sports Extra.